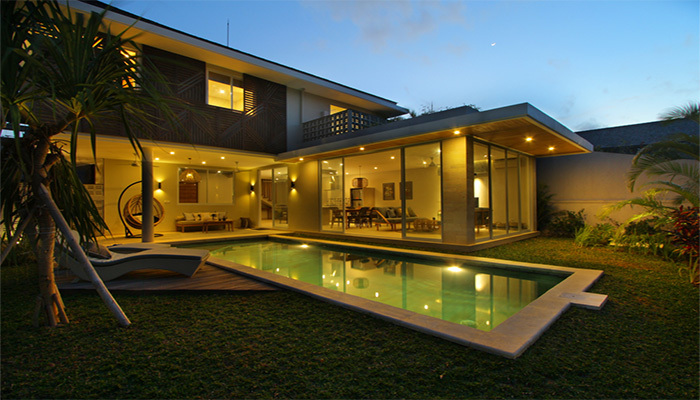 Villa located in the area of BatuBelig at 800 meters from the beach. 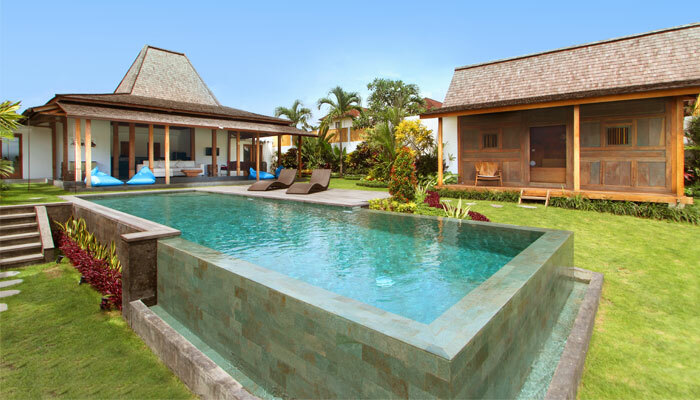 You will be immersed in the Balinese culture, while being close to Petitenget, Oberoi and the center of Seminyak. The house is composed of three bedrooms; each of them has its dressing room and an en-suite bathroom. From the living room, face to the pool and its waterfall, you will appreciate the atmosphere of this haven of peace. Decorated by two famous Italian artists: Enrico De Santis and Pia Talamo; this villa offers you a wonderful colonial design interior with all the modern conveniences and the tropical charm.